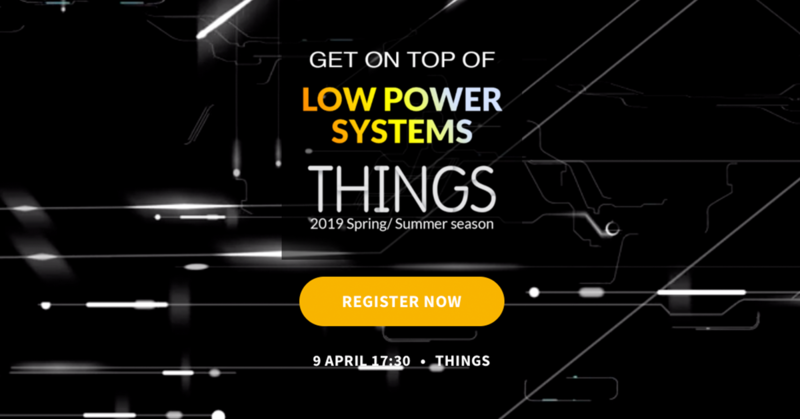 We had a hugely successful inaugural GOTO Low Power Systems last season, thanks to the our guest speakers which included Crosser, Epishine, Qoitech, Revibe Energy and WSI. Each providing their unique view point and insight laying the foundation to a fantastic discussion platform during the networking mingle. So back by popular demand, we will be hosting a #2 session on 09th March! The event is free of charge and we always provide a beer and a bite. Come and join us for this high priority topic with expert speakers in: energy harvesting, battery technology, low power components, design and networks. 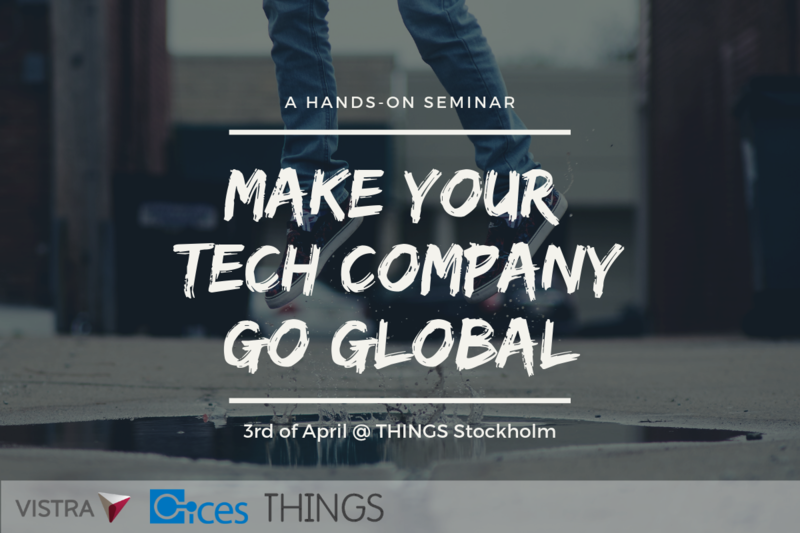 THINGS has teamed up with ICES and VISTRA to host a hands-on seminar for entrepreneurs who wants to take their company out in the world. It's has never been so easy to do business on a global scale and the opportunities are endless. But never the less, there are many pitfalls out there. 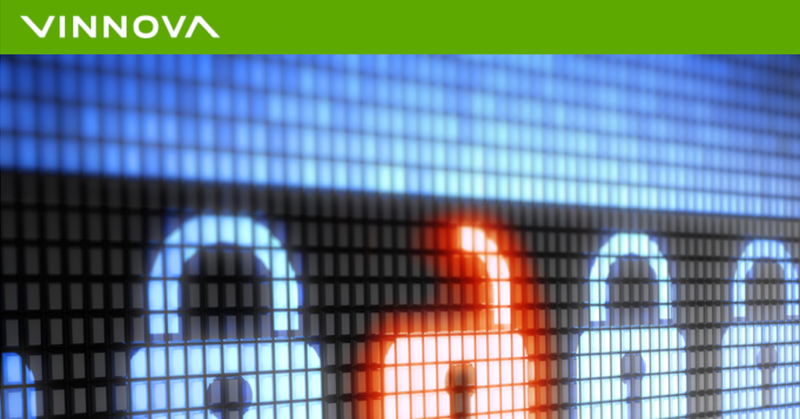 Together with the experts from Vistra, we want to give you 2.5 hours of hands-on tips and advice on how to avoid some of the common obstacles. The keynote speakers will focus especially on the German, American and Chinese markets. These are typical markets for Swedish Tech companies. And there is no doubt that each one of these markets could cover a seminar on its own. But the goal is give you a good insight on how you should plan and get organized for entering any of these markets. The workshop is free of charge, but seats are limited so register in good time! *OBS: new date change to 3rd April. 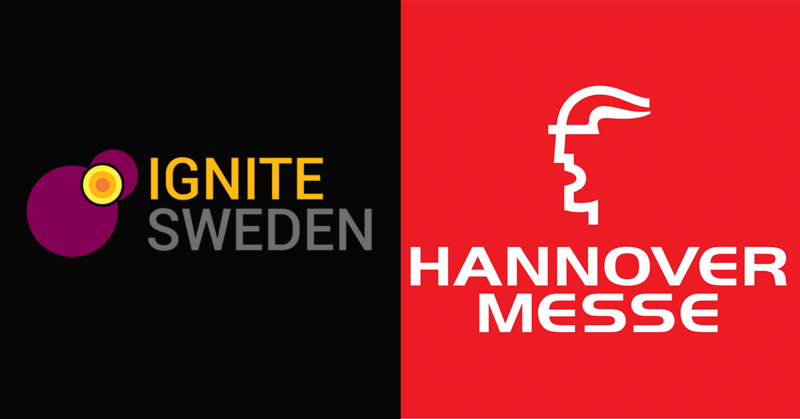 Ignite Sweden + 30 Swedish startups = 80+ international matchmaking events @ Hannover Messe! Ignite Sweden will be taking 30 of the most innovative Swedish startups within smart industry, IoT, energy, robotics, new materials and AI to Hannover Messe, the biggest industrial fair in the world where Sweden is official partner country this year. A series of 80+ matchmaking events has been arranged at the Swedish Pavilion where the 30 startups will meet large international corporates, pitch on stage and participate in an exclusive visit to Volkswagen factory! 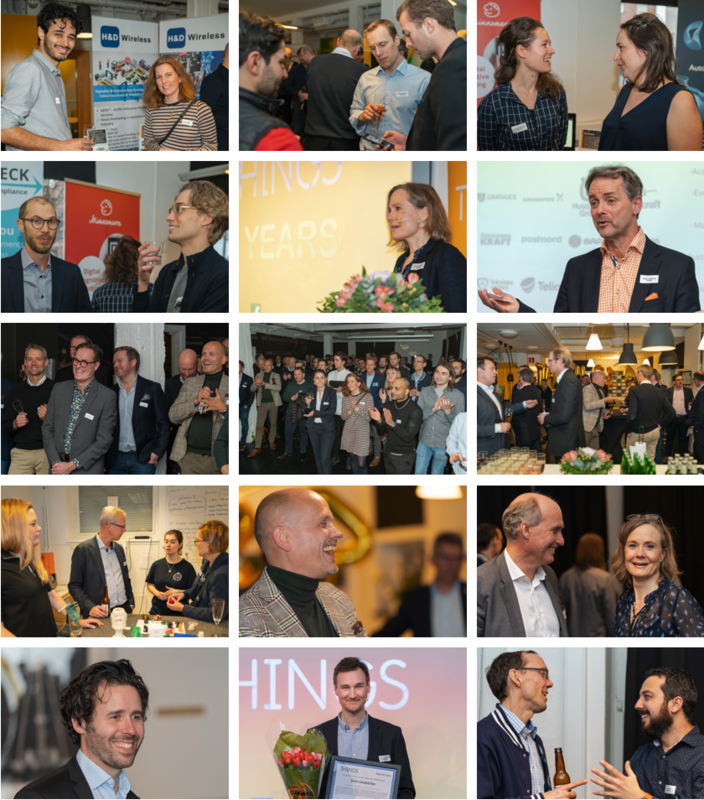 Annotell, Beotop Innovation, Build-r, Colmeo, Einride, Ekkono Solutions, Epishine, FlexeGRAPH, Gemit Solutions, Gimic, Gleechi, Graphmatech, Imagimob, LumenRadio, Mavenoid, Nova Innovation Solutions, Opiflex, Pactumize, Piczitup, Sensative, Sentian, Simplex Motion, Simumatik, Staccato Technologies, Strainlabs, Stream Analyze, Stylaero, SyIoT, Univrses, Viospatia and Voysys. ABB, Ceravis, ContiTech, Festo, Henkel, Kion group, Miele, SAP, Schaeffler, Stora Enso, Volkswagen, Wacker and 27pilots. 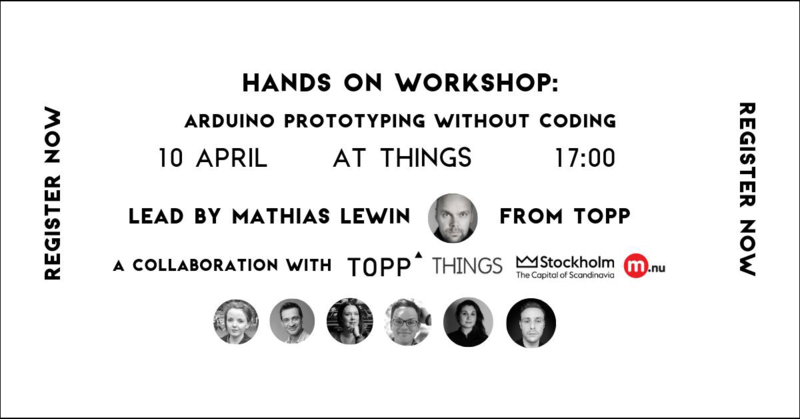 The next Stockholm Hardware event is a hands-on workshop: Android Prototyping without coding. Attendees gets to take the hardware with them home! *Use THINGS promo code: 'things' for a discounted price 600SEK (full price 800SEK). We celebrated our 4 year anniversary last week! Thanks to our wonderful extended community for the continued love and support and we look forward to taking on together the opportunities and challenges ahead in 2019! Huge congratulations once again to Sven Lindström, founder of Midsummer on winning THINGS 2019 Wall of Fame award! Special thanks also to all our startup and enterprise exhibitors for taking part and showcasing your incredible disruptive technologies! CE Check, Digital Nordix, Ekkono, Epishine, Greenlytics, H&D Wireless, Imagimob, Ingrid Cloud, Labtrino, Linkura, Mavenoid, Minnemera, Playitfair, Refind Technologies, ReVibe Energy, Scanbro, Tortalk and Waysure. Click here to read our full press release. 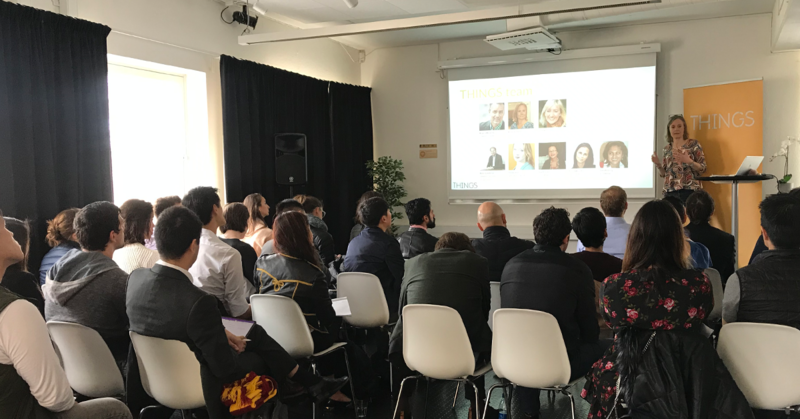 THINGS has close relationships with relevant international academic institutions and were pleased to receive a 30 strong delegation of Stanford MBA students who were in Stockholm. The focused was on Smart Cities and specifically, the IoT-related Smart City work being done in Stockholm. An introduction and tour from our Acting CEO Katarina Fégeant was followed by presentations from Sarah Nozkova from Urban ICT Arena and startup member Labtrino: brilliant example showcases of Stockholm being a global leader in Smart City initiatives! If you are interested in this current and important field, THINGS will be hosting a Get On Top of SMART MOBILITY session 2 in the near future. So watch this space! 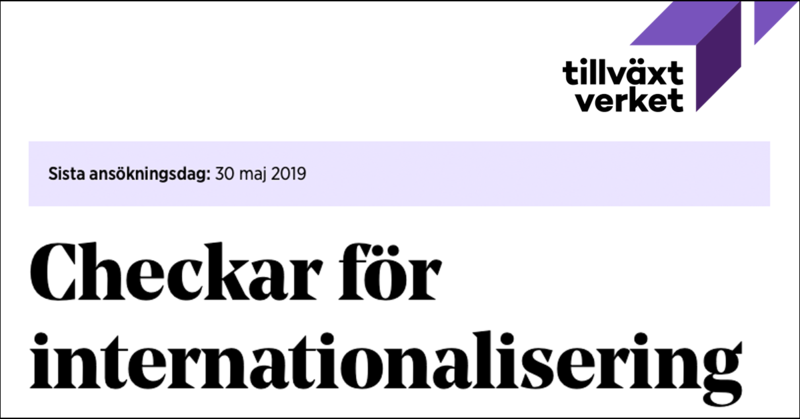 Fantastic article in Teknikföretagen's magazine where Stina Lantz outlines the matchmaking process behind Ignite Sweden. Presented with a real life collaborative partnership from THINGS member Gemit Solutions and THINGS Enterprise Circle Partner FLIR. "Vi har snabbt kunnat dubblera vår omsättning tack vare samarbetet*": Jonas Bäckman, CEO & Founder at Gemit Solutions. CE Check secures 2.3m SEK to scale up their digital platform which simplifies and automates the CE marking process of products to be sold in the EU market. Labtrino just received a grant from Vinnova, "Innovativa Startups Stage 1" along with 10 other KTH Innovation startups! Ocado Technology is recruiting! Join our exciting new team in Stockholm! Our small group of Java developers will be researching industry-disrupting technologies, specializing in simulation, AI and control systems. Have a core role establishing our capabilities and culture. Email: matthew.whelan@ocado.com now. Alumnus EVAM secures 1MSEK for research and development of next generation communication system for safer and more efficient operation of emergency vehicles in a joint collaboration between Sweden and China! GO! Alumus Cribble Craft the sustainable craft studio, launches in DesignTorget. So looking forward to seeing your amazing product in store! Well done Winteria on making the IVA100 list! Are you ready to take your innovation to the next level? 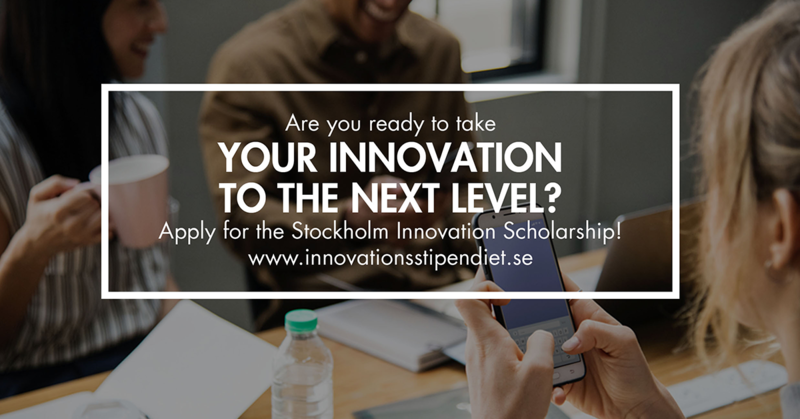 With the Stockholm Innovation Scholarship, the City of Stockholm wants to reward creative people with bright ideas and encourage them to develop those ideas with the chance of winning 100,000 sek. Just nu har Vinnova två nya erbjudanden inom digital säkerhet och tillförlitlighet. Utlysningarna är en del i en större satsning som Vinnova gör på digital säkerhet och digital infrastruktur. Den första utlysningen riktar sig till demonstrationsprojekt på temat identitet respektive blockkedjor och den andra är ett erbjudande om finansiering av genomförbarhetsstudier inför internationella samverkansprojekt. Båda utlysningarna stänger den 17 maj 2019. Digital säkerhet och tillförlitlighet - Tema: Identitet respektive blockkedjor. Tillväxtverket has released a round of 'affärsutvecklingscheckar' for startups expanding internationally. Information only in Swedish. THINGS is the #1 B2B and industry focused innovation hub in Sweden, located on the KTH (The Royal Institute of Technology) campus. It is a 100 people capacity event space hosting a packed calendar of activities, housed within a 2,000m2 co-working space for startups, connected to an extended community of close corporate partners, including some of the most successful and innovative export companies in Sweden. Our common interest is a commitment to disruptive innovation and technologies, which are driving the digital transformation. Our vision is “to transform innovation in small companies into large scale value creation through collaboration with corporates”. We do this by nurturing and bringing together startups and corporates in order to catalyse the domestic and global development of innovative products and services. Our current focus areas are Internet of Things, Automation, Robotics, 3D scanning/printing and Energy. Premiere of Ny Tekniks IoT pod with Linda Krondahl!